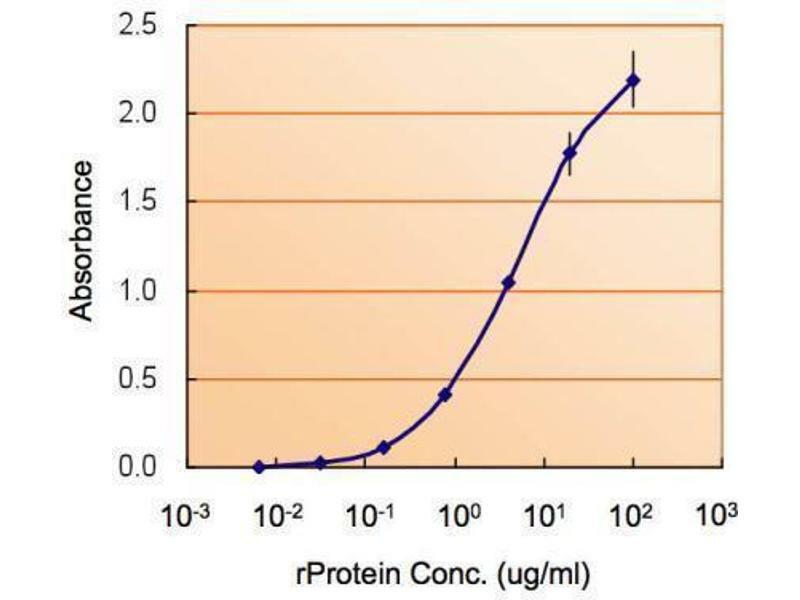 ELISA Image ELISA detection of NODAL using for capture at a concentration of 5 µg/mL and for detection at a concentration of 1.5 µg/mL. 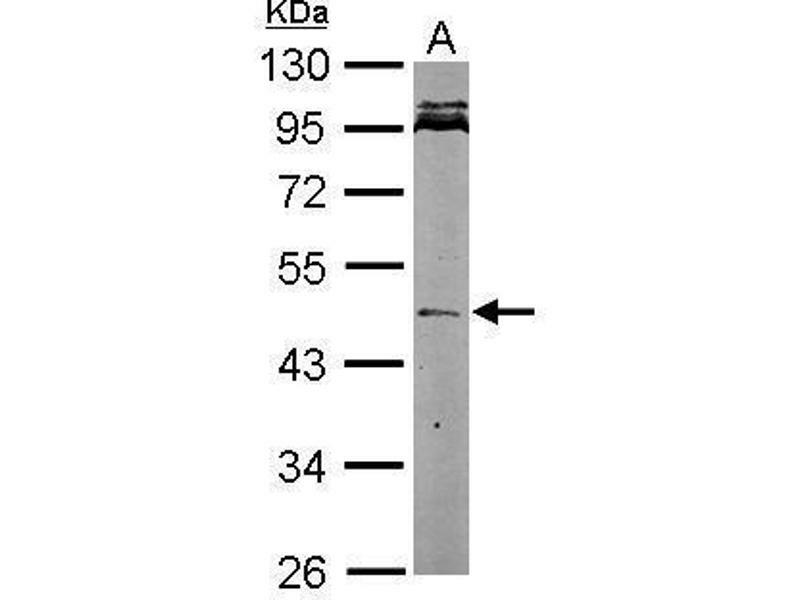 WB Image Mouse tissue extract (50 μg) was separated by 10% SDS-PAGE, and the membrane was blotted with Nodal antibody , diluted at 1:500. 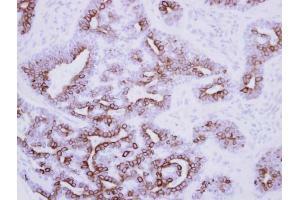 IHC-P Image Immunohistochemical analysis of paraffin-embedded human breast cancer, using Nodal, antibody at 1:250 dilution. 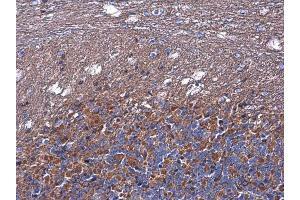 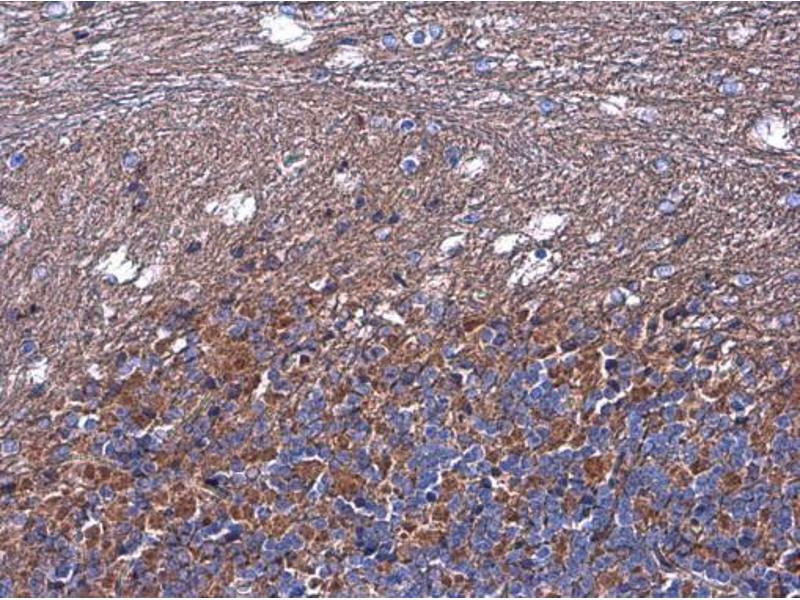 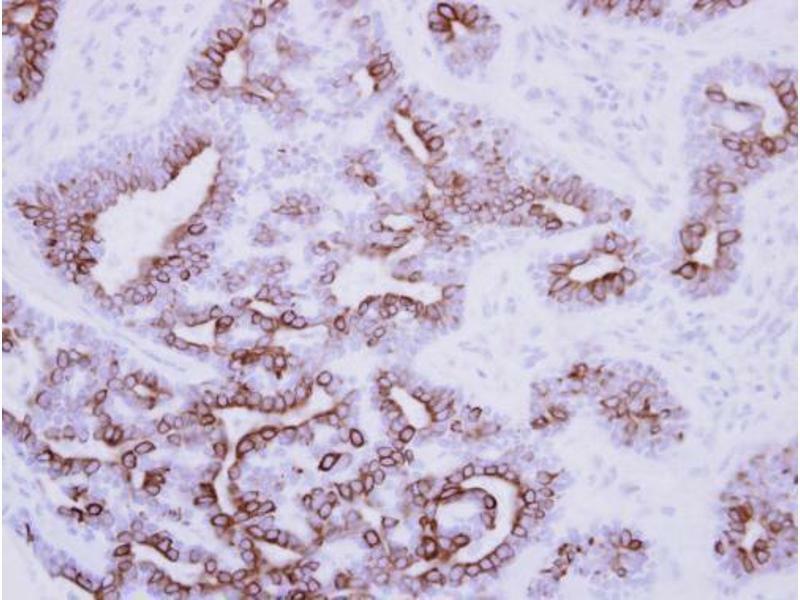 IHC-P Image Nodal antibody detects NODAL protein at cytoplasm in rat brain by immunohistochemical analysis. 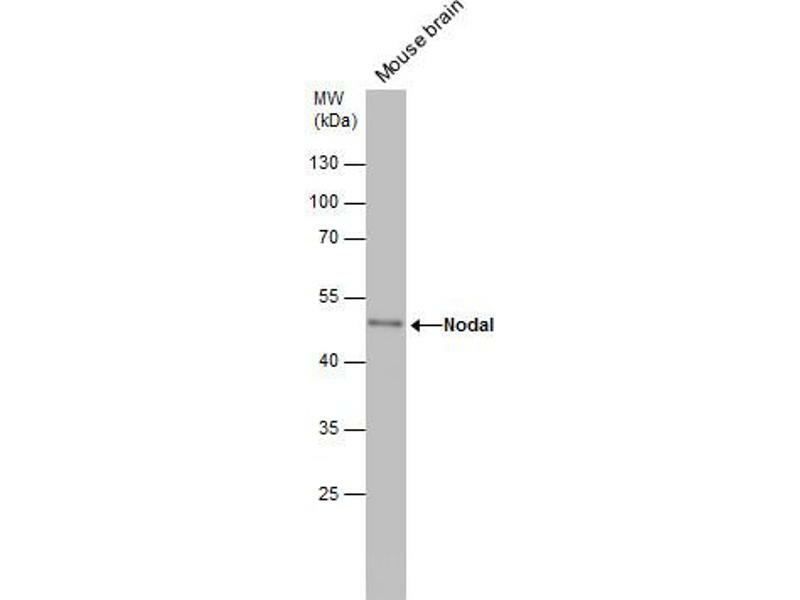 Sample: Paraffin-embedded rat brain. 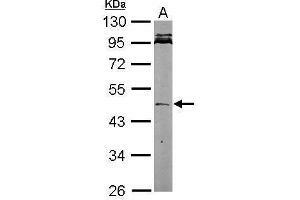 Nodal antibody , diluted at 1:500. 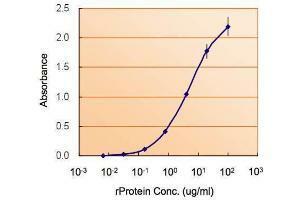 Immunogène Recombinant protein encompassing a sequence within the center region of human Nodal. The exact sequence is proprietary.